Dr. John Regan always appreciates feedback from his valued patients. To date, we’re thrilled to have collected 9 reviews with an average rating of 5 out of 5 stars. Please read what others are saying about Dr. John Regan below, and as always, we would love to collect your feedback. Surgeons of Dr. John Regan's caliber are rare. I was a Technical Administrator for a Pulmonary Care Department for a number of years before being seriously injured. Medical workers look at the education, residency, affiliations, publications, success rate and patient reviews for a potential doctor before choosing a candidate for personal physician. I dug deep considering the seriousness of my injury. Dr. Regan scored at the top of his field in every area. My case was complicated requiring 2 major surgeries over the course of 9 years. The first surgery was double prosthetic discs in 2005 with great success. Due to complications I required a laminectomy in 2014. This was no ordinary laminectomy. I had a giant calcified cyst on a nerve bundle at L4-5 requiring the greatest of skill to remove. Osteophytes had developed along my spine at nerve junctions threatening to damage other nerves. Dr. Regan took great care to remove them and prevent further damage to my nervous system thus saving me more suffering than I can express. What was to have been a 1.5 hour surgery became a 5.5 hour endurance test of his great skills. Most surgeons would not have spent the time to remove so many osteophytes. Dr. Regan's attention to detail and perfection translate to his compassion for his patients. It is the finest expression of his great gift. Three times I managed to walk the day after the 5.5 hour surgery. By the 4th day I was walking the length of the surgical ward and climbing stairs. As a patient with more than average understanding of back surgery, I can recommend Dr. John Regan as the finest surgeon available. Didn’t have to wait for Dr. Regan, appointment started right on time. Dr. Regan was very professional, took the time to explain everything in a very simple way and answered all questions. The office staff was also professional and courteous. I have had two surgeries separated by 12 years, by Dr. John Regan, for my progressive scoliosis. He has given my life back to me twice. 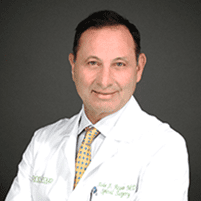 Dr. Regan is a world class spine surgeon with tremendous training (he finished training in Internal Medicine, then trained in Neurosurgery and Orthopedics, and finally super-specialized in Spine). He has exceptional experience, skill, and judgment. The care I received recently from his team of anesthesiologists and other physicians, was uniquely attentive and thorough. I recommend him very highly. Dr. John Regan is at the top. I have been a patient of Dr. Regan since 2006. He has correctly diagnosed spine issues each and every time where other nationally known surgeons failed. But most important, he has performed 8 spine surgeries on me over these years. The result? I have been walking 2 to 3 miles a day, in no pain whatsoever. He is understanding, professional and highly competent. Without his exceptional treatment and skill, I probably would have been significantly disabled and in constant pain. Dr. Regan is an excellent surgeon. I went to him as an athlete that had completely worn out my disk at L5 S1through years of heavy training and racing in cycling. It was bone on bone. Dr Regan performed surgery and restored the function of my lower back. I had the same surgery as Tiger Woods and he is back playing at top level which is an amazing accomplishment. It took about 1 year to fuse but I am back cycling (retired from racing) and have begun martial arts training. I have lost some flexibility yes, but I would say I perform at 95% of my post surgical level. Did it hurt, yes, get the drugs!!! Does it take a long time to heal, in my case yes, I was 62 when I had this done, everything takes longer. I recommend Dr. Regan 110%. It is scary having surgery on your back and it was, but the outcome has been fantastic. So, pull up those pants and have Dr. Regan do what he does best so you can get back to doing what you do best. My spinal fusion from a year ago is awesome. I highly recommend Dr. Regan. My experience with the Dr. and the staff was exemplary. The professional manner in which I was treated sets the bar for medical facilities. I highly recommend Dr. Regan to anyone suffering from back problems. Unlike many doctors whose practices are associated with large groups in major hospitals where you can wait weeks for an appointment (even if you are in agony as I was ), Dr. Regan saw me the day his office was contacted. Dr. Regan diagnosed I had three issues, each of which required surgery to avoid permanent nerve damage (I already was showing signs of nerve involvement); surgery was arranged promptly; and now, three months post-op, my recovery has proceeded as expected. Dr. Regan always has answered my questions with explanations that are readily understandable. In addition, his assistants and staff are extremely courteous and responsive.